Archive for the ‘FreeBSD’ Category. Today Microsoft® has announced that it has acquired FreeBSD®. FreeBSD is an open source operating system known for its very enterprise friendly license. Microsoft has recently embraced open source, moving .NET Core to GitHub, as well as announcing that a bash port that will run in Windows 10. However, this move was quite unexpected. Microsoft is paying the FreeBSD Foundation approximately 300 Million for the FreeBSD brand, the open source operating system’s source repository, all forks, sub-brands (OpenBSD and NetBSD), websites, and communities. Microsoft is in the process of negotiation full-time salaries for many of the developer volunteers. Rumor has it that iXSystems may also be acquired either as part of this deal or as a separate deal. Interestingly enough, Microsoft is not paying for the source itself because that is already free for everyone. We further questioned Nadella on how this affected their recent relationship with Canonical, who ported bash to Windows 10 for Microsoft. “Canonical is behind Ubuntu, who is moving away from the Linux Kernel. Canonical has recently embraced the idea of UbuntuBSD. With this aquisition, Cononcial and Microsoft are going work close together over the next few years. 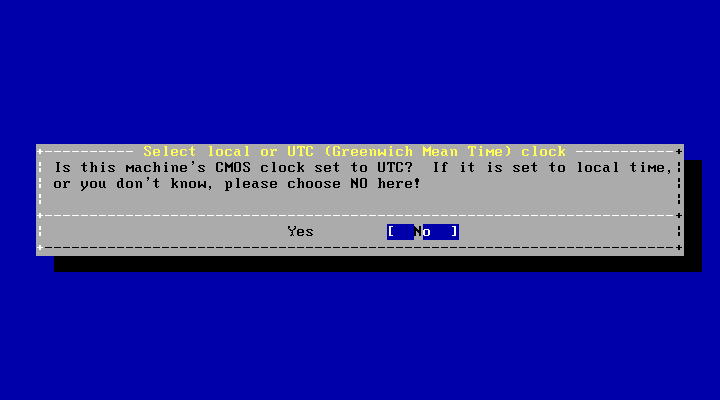 Is there anything that FreeBSD has that you want to pull in as soon as you can. That last statement, Nadella laughed. We were also able to contact the President of the FreeBSD foundation, Justin T. Gibbs and discuss with him the acquisition. PC-BSD 10.0-RELEASE is now available for download! ISO file is a hybrid USB file, and can be “dd“ed to a USB media. It is not always about who is better. Often an equal or better candidate loses for reasons that should not apply. This is true for many areas (politics for example) where what matters is overlooked by our humanity. So whether one operating system is technically better than the other is not the only factor for choosing it. Linux is the most used open source operating system and has a larger market share than FreeBSD (OS X not included). This article takes a look at some other reasons one might choose Linux over FreeBSD. Note: This article also is not taking into account OS X, which while it has some foundations is BSD, is not open source, and this article is to discuss open source market share. Due to OS X, FreeBSD could make the claim that they have a larger market share than Linux. The bottom line to advertising is that Linux has it in quantities and FreeBSD doesn’t. For FreeBSD, there is very little, if any, advertising. I have never seen any ad on any media type for FreeBSD. Linux has multiple enterprise size companies, Red Hat, SUSE (previously Novel), IBM, and others that are advertising it and using it. Linux is advertised by these companies quite heavily. There are a few user’s groups here and there and that is about it. FreeBSD has no little buzz marketing. Linux has a lot of buzz. There is no questioning the buzz that was created by Ubuntu that still exists. Thanks to distros like Ubuntu, Linux has an extreme amount of buzz. Over the past couple of years, iXSystems has provided an increase in advertising. Also the new BSD Magazine is another form of advertising that is beneficial. A brand name has the ability to make or break an organization. A logo has this same ability. Why? Because they are the embodiment of the company. They provide the first impressions (don’t tell me you haven’t heard that saying about first impressions) and often the only impression. And how it sounds is extremely important. Think about it. Some people want to sound cool when they say the operating system they run. Linguistic experts have studied brand names and there are many “best practices” for a brand name, and FreeBSD follows none of them. Because of this, FreeBSD is not a good brand name. It is not even average. In fact, if you were to make a list of below average brand name, FreeBSD would reside near the bottom of the bad list, and here is why. The goal of a looking at a brand name from a linguistics point of view is to find ways to make the brand easy to say, descriptive, and memorable . A brand name is poetry and all the linguistic elements that benefit or distract from poetry can benefit or distract from a brand name. Here are ten linguistic suggestions for having a good brand name. Use alliteration in your brand name. Use equal or more harmonious consonants than cacophonous sounds. Some consonants make sounds that are “in-between” such as F. A letter such as X has two sounds, K and S.
Syllables. Two or three syllables is ideal. One doable too. Four is possible if other items in this list are good. Five syllables and above your pretty much a bad brand name. Vowels should rhyme or match. Avoid contrasting vowel sounds, such as a long vowel followed immediately by a short vowel. The place of articulation of each consonant and transitions between them should be easy. Use a word that can become a noun or verb. Know definitions of roots, prefixes, and postfixes and use ones that apply to your business. So lets compare FreeBSD brand to the Linux brand. 1 Tie n/a n/a Neither alliterated. 2 Linux Good Bad Linux has three consonants, but one is X which has two consonant sounds K and S. Sot it has, three harmonious, one cacophanous which is a 3-1 ratio. FreeBSD has five consonants, two cacophonous, two harmonious, one in-between, which is a 2-2-1 ratio. 3 Linux Good Bad Linux is idea having two syllables. FreeBSD is four syllables and nothing to save it. 4 Linux Good Bad Linux is a single pyrrhic foot. 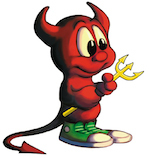 FreeBSD has two feet and they are same foot, spondee, which is the one you should avoid. 5 Linux Good Bad Linux avoided acronyms, FreeBSD, has a three-letter acronym. 6 Linux Good Average Linux is two short vowels. FreeBSD has four vowels, three long Es and one short E.
7 Linux n/a Bad Linux has no vowels next to each other. 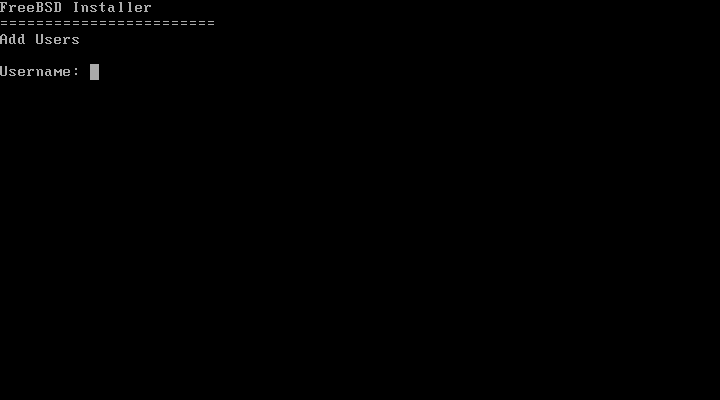 FreeBSD has a conflict of a long E followed by a short E between the B and S letters. 8 Linux Good Average Linux has the L and N and S sounds all made by very the same mouth parts and positions, well separated by vowels. FreeBSD has sounds made by various different places and parts in the mouth less easy transistions. 9 Linux Average Bad Linux can be a noun, and I have heard linuxed used before. FreeBSD is barely passable as a noun and can in no way be verabalized. 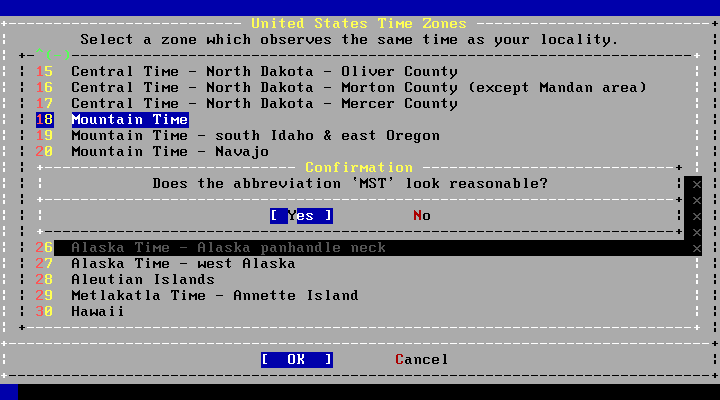 10 Tie n/a n/a Linux has no syllables with any dictionary meaning. FreeBSD has the word “free” which is too general to provide any meaning. The acronyms detracts from the mean further. If we rated these on a scale of 0 to 5, with bad being 0, average being 3, and Good being 5, here is how the points come out. FreeBSD = 2 points. Two item were N/A, so that is 2 out of 40 possible points or 5% of the possible Good points a brand could have. Linux = 35 points. Three items were N/A, so that is 33 out of 35 possible points or 94% of the possible Good points a brand could have. As you can see, from a linguistics point of view, FreeBSD is a terrible brand name. If FreeBSD were an enterprise trying to stay alive, the first order of business would be to change the brand name. Also, this analysis proves the obvious, that most of the bad branding stems from the acronym, BSD. Unfortunately, the FreeBSD derivatives don’t get better. The main problem is that more than half of them feel the need to continue to use the BSD acronym in their brand. There reasoning is to show their ties to BSD, but the result is very bad brand names. For example, PC-BSD somehow took a step backward by extending to five syllables, still all accented, and adding one more cacophonous sound. There is no fixing the PC-BSD brand. The only option is a new brand. However, DragonFly BSD can easily be fixed by simply dropping the “BSD” acronym as it is not needed. Alone DragonFly is a good brand. Brands that have dropped the BSD acronym such as m0n0wall or pfSense are adequate brands, not good, not bad. 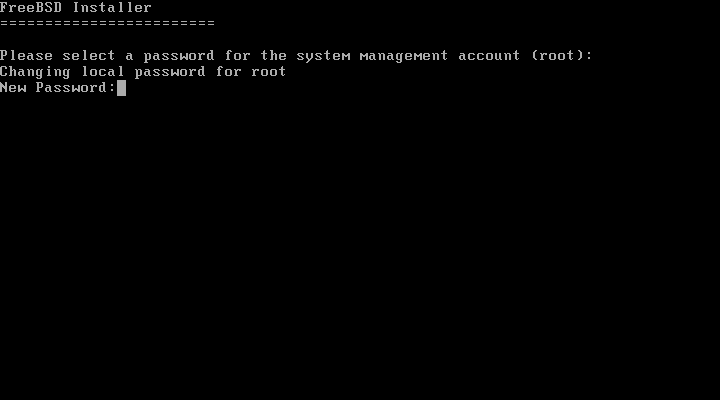 OpenBSD is as bad as PC-BSD with the added negative that the word “open” actually contradicts the security goals of the platform. As derivative brand names go, Linux derivatives or distros are far ahead of FreeBSD derivatives in brand name quality. The logo is every bit as important as the brand name. Lets look at the FreeBSD logo, and the Red Hat logo and compare them. Here are some logo tips that seemed to be common themes from dozens of sites about tips for making a good logo. Make sure the logo has a black and white version. Color psychology. Avoid having the logo be mostly one color that may be negative. Don’t stray far from a simply decorated version of the company name. Make the logo an image that is pertinent to the brand. Avoid offensive images, even if only offensive to a small portion of the population. One might argue that the Tux, the penguin, and Beastie, the devil or demon, are both part logo and part mascot so we will look at those, first. 1 Tie Bad Bad Neither the penguin or Beastie are simple logos. 3 Tie Good Good Both have colors that coordinate fine. 4 Linux Good Average The penguin translates well to black and white. Beastie is displayed as an outline. 5 Tie Average Average Tux is black, white, and yellow. Nothing great. because they are more mascots than logos. 7 Tie bad Bad Neither is pertinent to the brand. 8 Linux Good Bad The penguin is nice and cute. Beastie is a devil and controversially offensive. The reference to daemons and forks is lost on most people. Ok, so neither mascot makes a good logo, but Tux does have a small edge over Beastie. Now lets look at the logos. I am going to use the Red Hat logo versus the FreeBSD logo, as Linux doesn’t exactly have its own logo. 1 Linux Average Bad Red Hat is two colors and is a complex drawing. FreeBSD is a 3d sphere, it is more than two colors, red and black, as it has many different shades of red. 3 Tie Good Good Both are very well color cordinated. 4 Tie Bad Bad The color red makes both logos. Neither look as good in black and white only. 5 Tie Average Average Both have red and black. Not much difference. 6 Tie Average Average Both are an image to the left of the brand name. 7 Linux Good Bad Red Hat has a logo of a guy in a Red Hat, not pertanent to Linux but very pretinent to the brand. 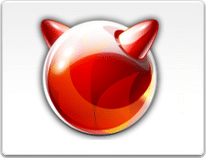 FreeBSD has sphere with horns, and the relationship to a daemon is a stretch at best. 8 Linux Good Bad The Red Hat logo is a simple image, nothing offensive. The devil horns comes with tons of religious history and is offensive to certain individuals, even toned down as a sphere with horns. Linux gets 27 out of 40 possible points, or 67.5%. FreeBSD gets 14 of a 40 points, or 35%. After analyzing this, the FreeBSD logo isn’t as good overall as the Red Hat logo using the measurement above. However, I wouldn’t say the Red Hat logo is great either. I do think that just from a “looks and coolness” despite the rating system, the new BSD logo looks better. 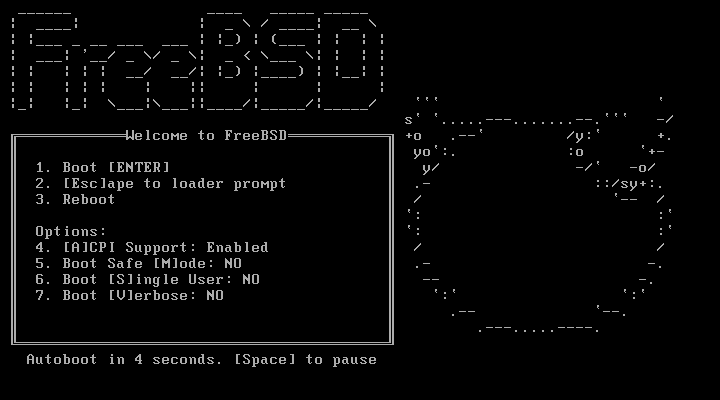 FreeBSD recently updated the logo to the one you see above. There are no plans to improve the name, logo, or brand further that I know of. Business and enterprise drive use. In my experience, business leaders equate open source software with the GPL license. I have heard so many companies say that they have banned open source software. However, every business leader I have educated in the different open sources licenses change the ban to allow BSD and similar licensed, citing that they didn’t understand the different licenses or the business and enterprise friendliness of the BSD and similar licenses. Both the FreeBSD license and the GPL are great licenses. However, they have a slight different focus. FreeBSD is a license designed to share code freely. GPL is also a license to share the code freely with the added enforcement that any code that uses GPL code is also GPL. I have another post to discuss Differences between the BSD/FreeBSD Copyrights and the GNU Public License (GPL). If you distribute binaries built using BSD Licensed source, there are only two things you shouldn’t do (you wouldn’t do either anyway). If you distribute binaries built using GPL source, you have to pay attention. 1) your code may also be required to use the GPL license and 2) there are actions you must perform, such as provide access to the source and your source that uses the GPL source. Businesses and enterprises often don’t understand that there are alternate licenses beyond GPL. Sometimes they actually prefer to buy commercial software just to avoid “open source”. We need to share how enterprise friendly the BSD license is with IT managers and business decisions makers. I have seen this from personal experience. At a previous company, they mistakenly used GPL software and other software thinking it was free, forgetting that they actually have to perform actions in order to use this software. It cost them a lot of money when they were found out. The sad part is there was alternate software available that was BSD Licensed, so they wasted money because neither the developers nor the business leader knew better. I knew better and they were quite shocked when I gave them a simple solution: Just use this alternate software as it is BSD Licensed. They did and it saved them a lot of money. Even though I put licensing as the third reason, after thinking about it, this comes back to Reason #1 – Advertising again, because the main problem is that the GPL seems to be advertised more and many business leader are unaware of other open source licenses. I think nothing is being done. I am not sure if there is any effort to advertise the benefits of the FreeBSD’s permissive licensing over other more restrictive licenses. This was before my time, but I always hear that around the time Linux and BSD were released, BSD was sued and so people shied away from BSD because the threat of a law suit. This occurred well before I cared and if you want to read more about it, check out the wikipedia artcle. I can’t prove that BSD was slowed by this, or that Linux wouldn’t have the same advantage in market share over BSD had this occurred. But every time I see a question about why FreeBSD is not more popular someone brings this up. However, when Linux was sued by SCO, it didn’t really affect the market, so I am not sure if this was really valid or not. It is a historical possibility at best. 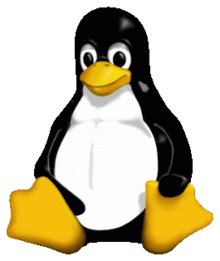 We know that in the early days of Linux there were multiple business who backed Linux. Then Red Hat and SUSE went enterprise. Ubuntu has Canonical. For FreeBSD, Apple took it into their product but not as open source, and they didn’t really advertise the fact that they were partially BSD. iXSystems and some hosting companies are about all that FreeBSD has when it comes to an business. Well, FreeBSD is continuing to get backing from Apple. I have heard rumors that Apple is one of the primary sponsors of Clang and LLVM (tools to replace gcc as a compiler) that uses a permissive license. iXSystems kept FreeNAS a FreeBSD product by sponsoring it and has sponsored many booths at open source conferences. I have heard of Yahoo being a strong backer of FreeBSD, though I am not sure of any recent examples. But it is clear that FreeBSD needs more business backing if it plans to compete in the open source market with Linux. Inside a controlled network, it is a little harder to use FreeBSD. 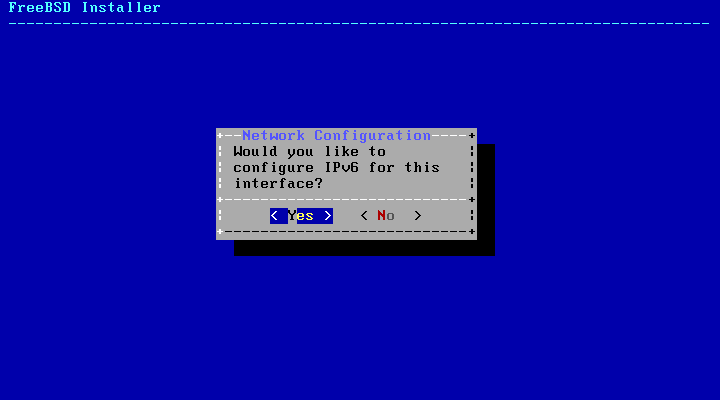 The simple things become hard, such as running “portsnap fetch extract” or running “make install” on a port. You cannot bypass the proxy. Most ports are blocked with HTTP/HTTPS forced through the proxy. Even worse, DNS only responds for internal addresses and the proxy handles the external sites, so your local box never actually resolves names to IP addresses and the browser only works because the proxy makes it work. 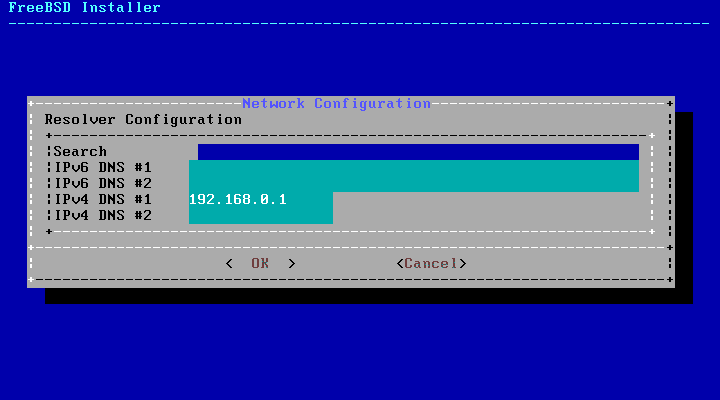 You can configure FreeBSD to use a proxy. You can set a global proxy, sort of. It looks like you can set a global proxy per shell. However, not all apps respect that proxy. Now that you have made these settings, your proxy should be working and any tool that uses HTTP/HTTPS, such as fetch, portsnap, make fetch, etc., should now properly use the proxy to access the internet. Any HTTP source should now work. 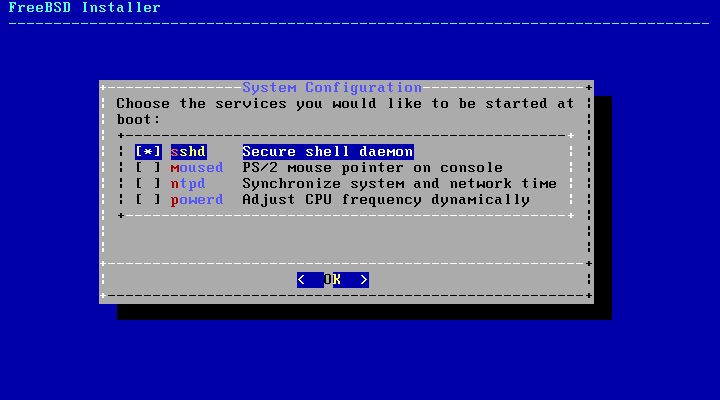 Both ports and portsnap and other such FreeBSD tools use fetch so as soon as the environment variable is set, fetch and any tool that uses it will work. Other tools, such as subversion, may not support the HTTP_PROXY environment variable and must be manually configured. 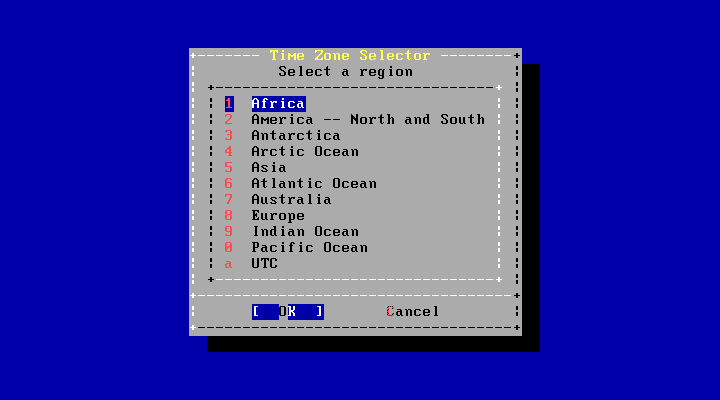 For Subversion, I couldn’t find a global setting, instead it was a user setting. The file in your home directory. It usually exists by default but contains only comments. The following is the minimal lines you need. This problem is easy to get around. Always use HTTP or HTTPS. FreeBSD has usually made it that simple as all the common tools that use FTP seem to have HTTP options as well. Most ports have an HTTP site as a backup download location. The best case, you run make install and it just finds an HTTP site and downloads the port for you. In the worst case, you may have to manually edit the Makefile and add an http source. Portsnap uses http by default. 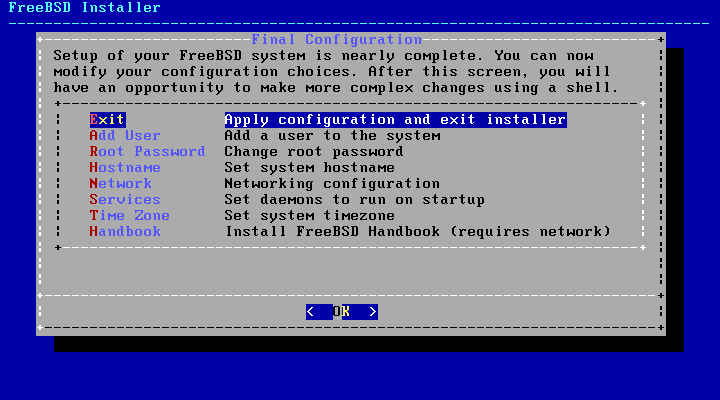 First install FreeBSD. 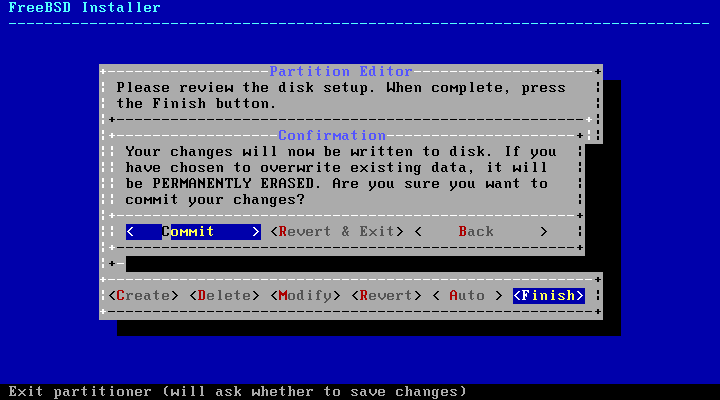 Instructions for installing FreeBSD is contained in this article. How I install FreeBSD 9? 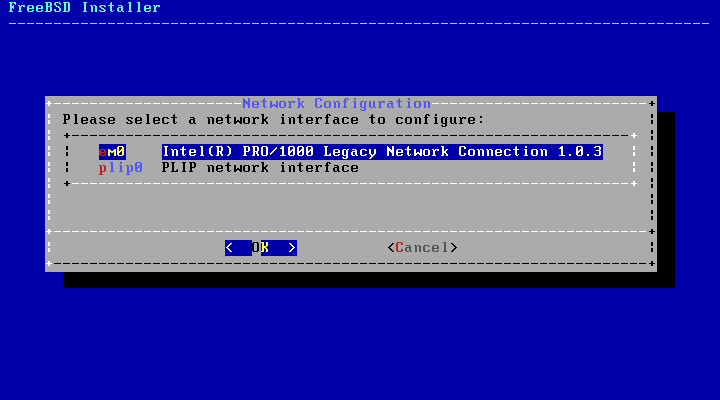 (Legacy) How I install FreeBSD? 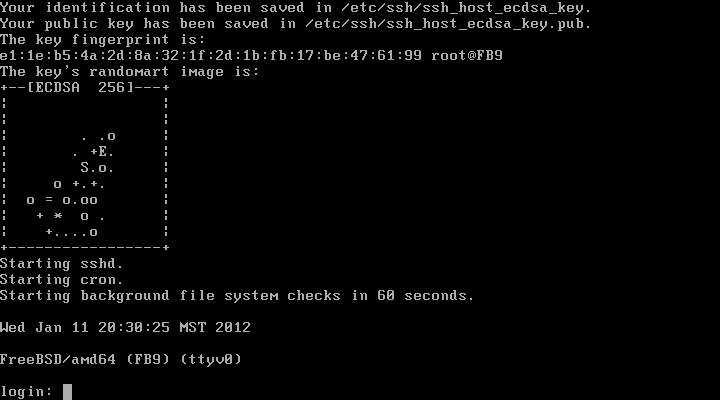 Second update FreeBSD and install the ports tree. Instructions for this are in this article. What are the first commands I run after installing FreeBSD? Change to the directory of the mysql55-server port. 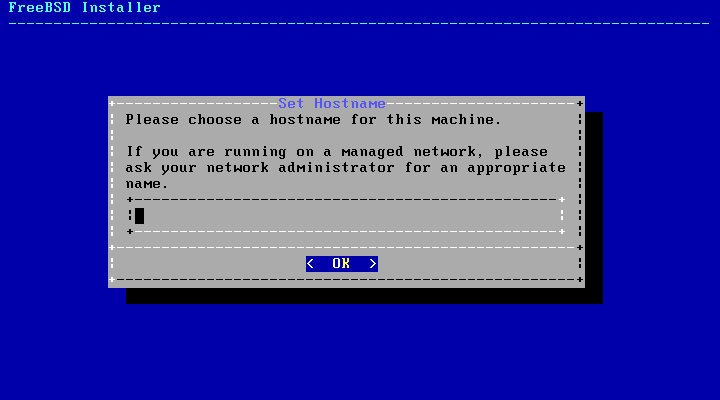 Now install mysql55-server with ‘make install’. MySQL 5.5 Server (and MySQL 5.5 client) will download, compile, and install automagically for you. Note: You may be wondering about the WITH_CHARSET option that used to exist. This is not necessary during compile and install and we will set the character set in a later step. 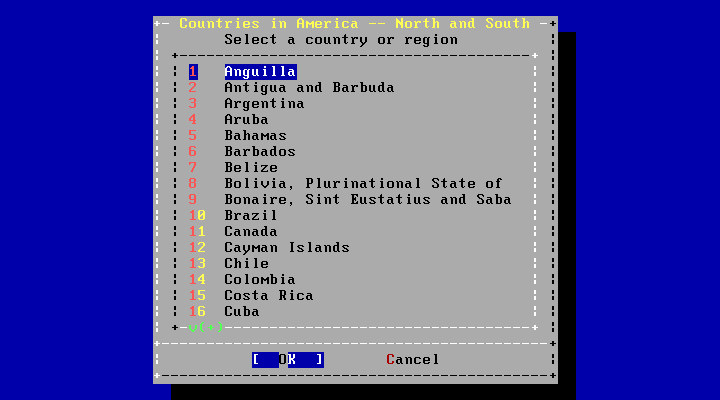 Don’t start the MySQL service until we make these changes. Install easily as a binary package with this simple command. 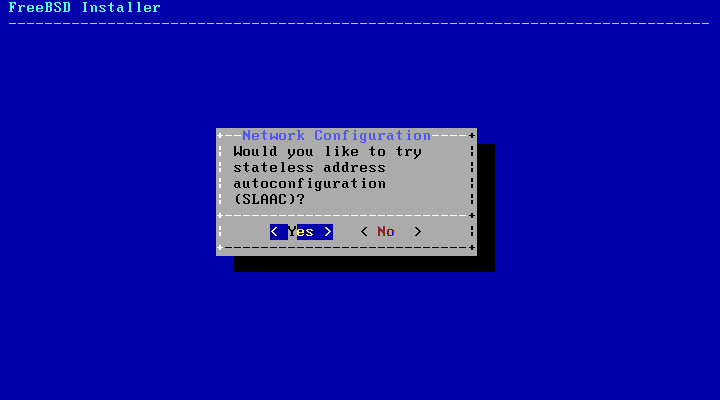 Configuration of MySQL is done in the my.cnf file. For this example, we will change our server to use UTF8. 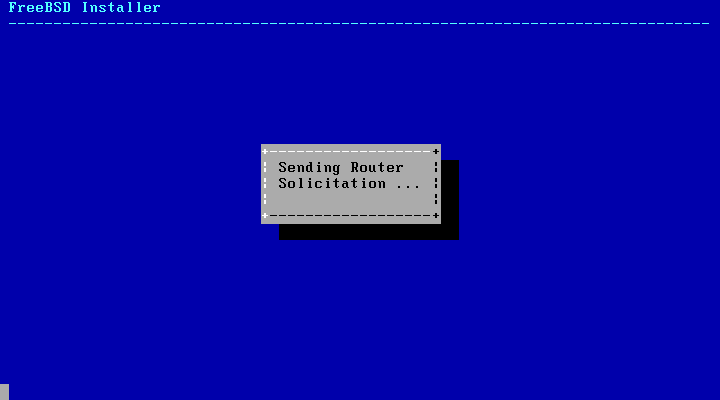 Change to the /usr/local/etc/ directory. This is the default location for the my.cnf file. Add the following to the my.cnf file. Add the following lines to the /etc/rc.conf file. If you want to integrate Apache and PHP see these articles. 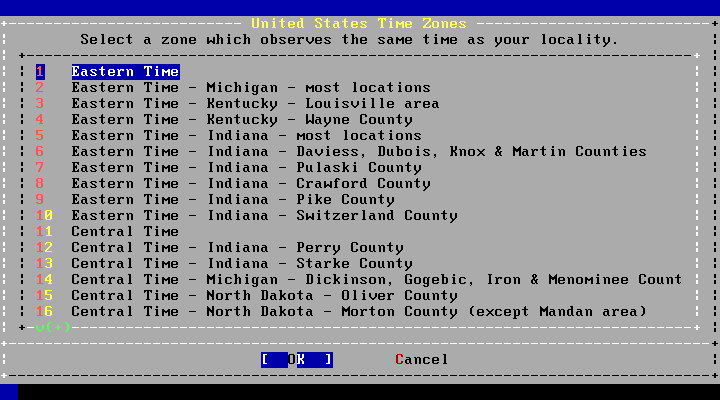 Ghost 2.5 is a BSD desktop distribution based on FreeBSD. This version is keeping up with the latest FreeBSD 9 release. 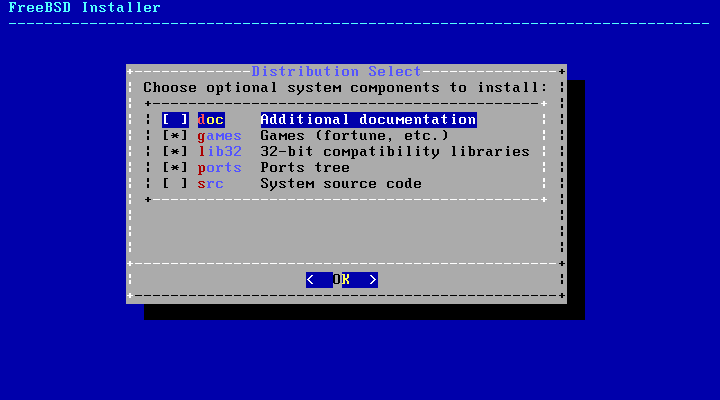 This is both a live distribution as well as an installer for FreeBSD 9. It is exciting for a lot of BSD users who didn’t really have an out-of-the-box GNOME option on FreeBSD to have a distribution where GNOME is the focus. The DVD ISO in 64 bit is only 1.3 GB, though there is a “lite” version that is on a single CD. 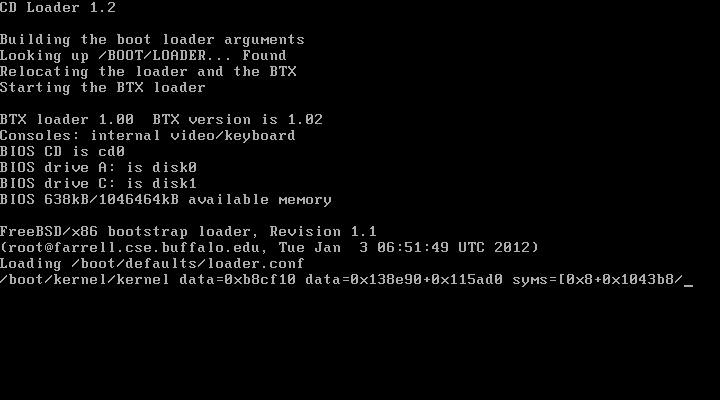 PC-BSD 9.2 Beta 2 is available for testing and I just installed it. This is probably the best desktop OS that is not Windows, Mac, or Linux. The installer was already a nice easy GUI, so I didn’t expect many changes and it is still nice and easy to use, and just works. The installer does present new features about PC-BSD 9.2, in that you can choose from a list of Desktop Managers. Before KDE was it during install and if you wanted something else, you could change it later, but now you have a nice list of GNOME, KDE, and others. I chose KDE because I usually use KDE or Fluxbox and when I have plenty of system power, I go with KDE and this system is on a beefy VM. I did miss seeing Firefox as an installable application during install? Not a big deal, as I will install it later…but I was used to it being there. Setting up the Video Card still is a screen. It would be best to have it just work and not even have the screen at all. But it still prompts me and I still have to do it. I would like it to detect that I am on VMWare and just install the VMWare video driver for me or if I am on hardware, just install the driver I need. There is a nice “tip” screen post login. Branding is very important! AppCafe is probably one of the first times I have ever seen PC-BSD really do something that I consider a good brand. I have an opinion that the PC-BSD, which is 5 letters where you just say the letters name like an acronym, is a horrible brand and should be changed as soon as possible. However, AppCafe is great. It goes with the whole App Store idea that is trendy currently. Good move! I quickly found Firefox and Chrome in the AppCafe. The search feature is great, otherwise they were under the “Web” group. I was curious as to why Firefox was still version 4.0.1 as Firefox is on 6.x now. The one downside is that I would really like Firefox to load a lot faster. Flash…Yes, it works with a beta note: In previous versions, flash has worked perfectly, and it will in the next release too. However, turns out that this beta has a bug where you have to run a command to enable flash…oops. That is why we have betas. Expect this to work in the final release as Flash has worked out of the box now for multiple releases. For KDE, After installation, App icons are placed in a desktop folder, that is a transparent box on the screen, giving the system a sense of “flashiness”. A lot of the default Apps that were installed, such as K3B, a DVD/CD burning software, and a video player and music player are all there. I am probably going to install a GNOME only version as well and give it a look.